Well this summer really has been scorching hot, and although things seem set to be cooling off a little, we’ve still got a way to go before the snow returns! There’s still much to reflect on and plenty to look forward to. I trust by now that everyone might just have recovered from England and the World Cup and it “NOT Coming Home”, as well as the shock of King Federer’s departure from Wimbledon without the trophy…no doubt he’s still trying to work out how he lost that game! Oh well maybe next time, and for you Rodger next year. The most important lesson to learn from these events is that nothing is predictable and to win, above all else it’s about keeping your cool to perform at critical times. The same lesson applies to many aspects of business, especially those businesses that provide Customer Service and Support. Here the pressure is always ON and is all year-round, not just over the long hot summer months. As things heat up it can sometimes be a real challenge to keep your cool when it comes to managing cases in Microsoft Dynamics 365. Standard Case Management methodology in Service allows you to keep track of what’s what and respond in line with your contracted demands to ultimately provide a resolution. But, and it is a big but, wouldn’t it be great if you could be able to see where your Cases are coming from? – On a map I mean, pinpointed by each and every geographical location. This would provide the means to visualise the scale of the support tasks, and would also show trends against given areas as well as for the product or service type. The map view could also allow you to highlight the potential “problem” customer, you know the ones, yes those, the constant complaining types who raise cases for fun! Amongst the array of functionality provided by MyGEOMap, the previously mentioned visualisation of cases is provided to allow Customer Services to get a clear view of what they are dealing with and where the cases are located. Whether you deal with customers in a local area or on a global scale, MyGEOMap provides a view which can be displayed to show key information on the map by making use of standard look ups and filtered views in Dynamics 365. 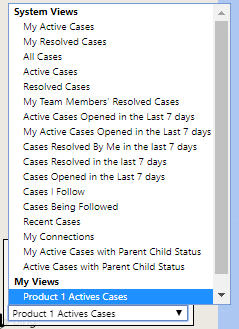 Most unlike standard case management where you simply get a list view of cases and their status, with MyGEOMap you bring this world of case management to life! Being able to see a visual representation of what you are dealing with makes it so much more real. However, it doesn’t stop there, as it gets even better when you turn on the heat. With the clever Heat Map option enabled, the map view takes on a whole new meaning. MyGEOMap now displays how many cases you are dealing with and will increase the heat map blob as the number of cases in a location grows. This allows you to establish and understand where you are suffering the most demand of cases. This could be down to any number of factors; a product type defect based on distribution to this area, or it could be down to the fact that engineers for this area are not performing well enough to correctly maintain your product, whatever it is you’ll be seeing in real-time where your “HEAT” is. The bigger the red heat map blob the more cases you have in this location. You can of course zoom in to explore, and you can also alter the heat map intensity should your big red blobs become too big (I hope not!). Zooming in on the map really does start to provide you with a clear understanding of what you are facing as the red blobs provided by heat map are counting the number of cases, so for multiple cases per customer, you’ll soon see these cases in a list view. You can even use MyGEOMap’s Draw Box function to select a number of blobs or pins to produce a full list of the cases selected. Switching back to standard view from the heat map view provides the look up to the cases and as you can see below, shows just how many cases one customer account represents (ouch!). And you don’t have to worry if you want to select many areas using draw box to produce your view and list of cases, drawing multiple boxes is a standard function. Below we see multiple boxes having been drawn around areas of heat mapping as opposed to the case’s standard pin view.